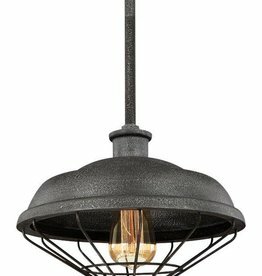 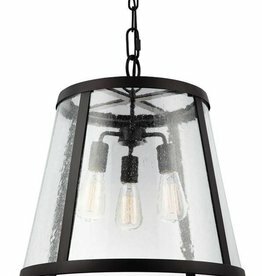 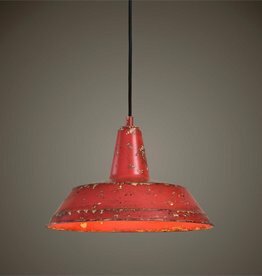 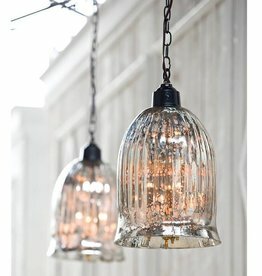 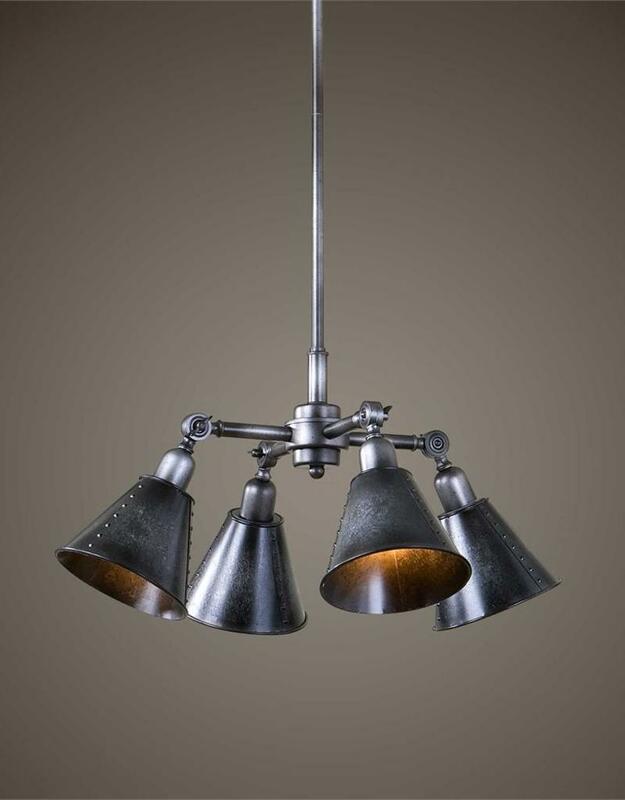 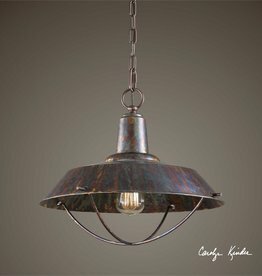 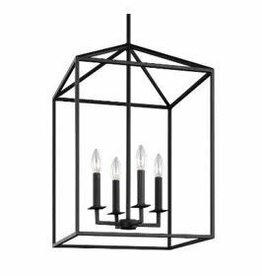 The smoky galvanized finish brings out the urban appeal of the four metal shades of this pendant. 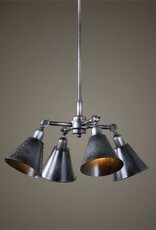 It is rod hung and includes 3-12" rods, 1-6"rod for pendant mounting. 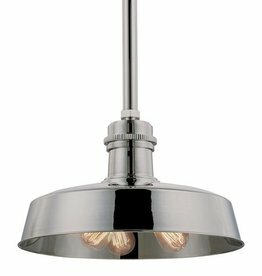 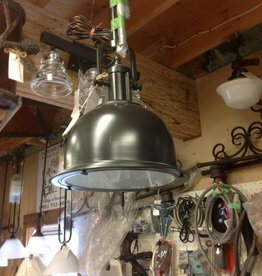 The single 3" rod attached to the fixture will allow this fixture to be installed as a semi flush fixture.